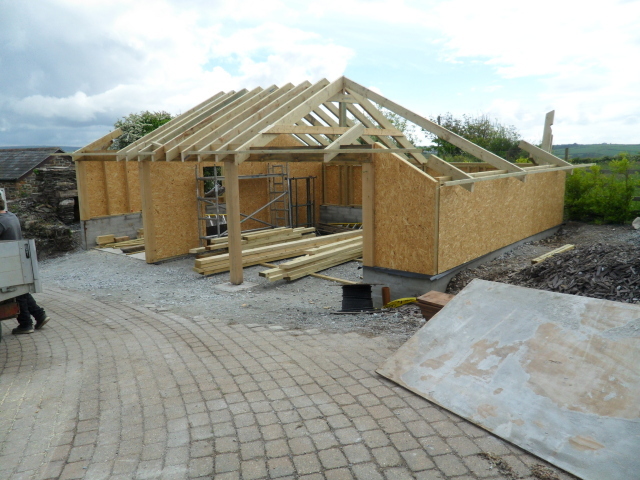 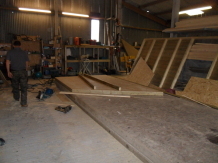 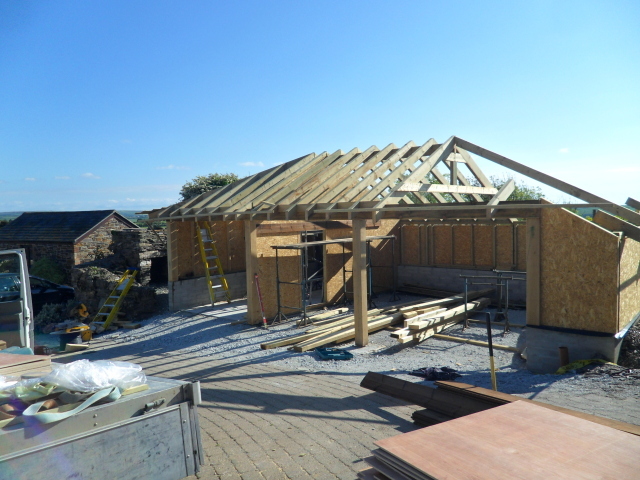 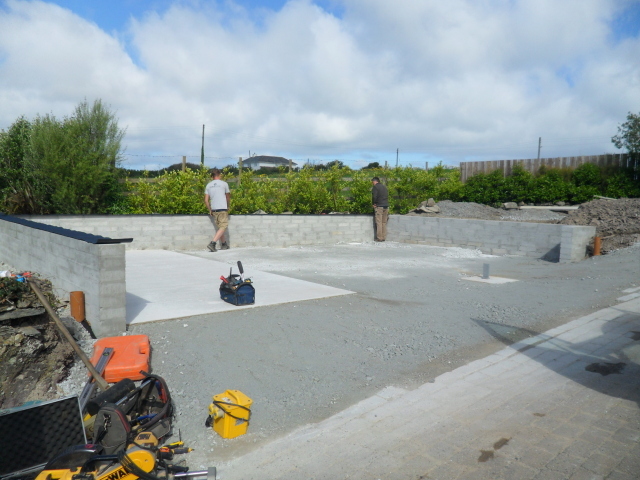 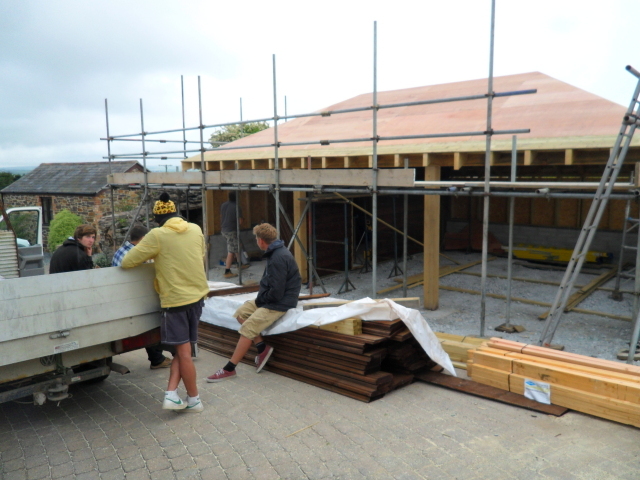 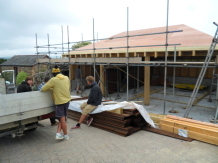 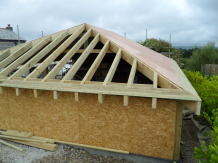 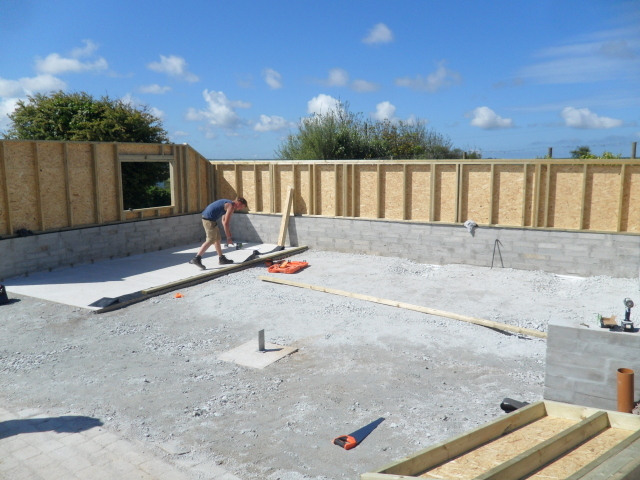 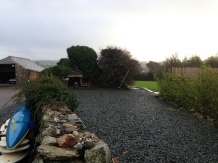 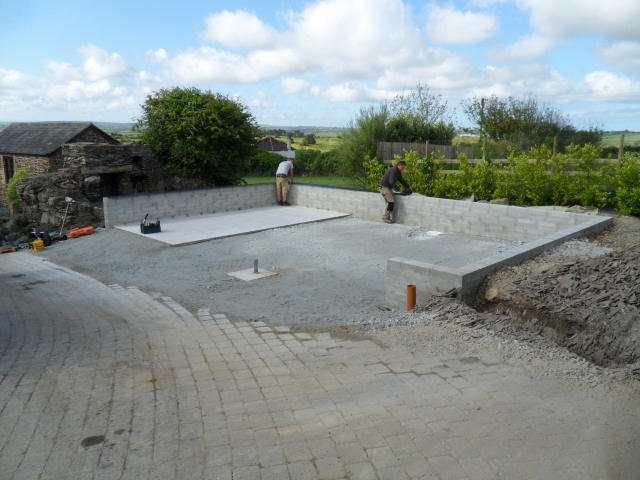 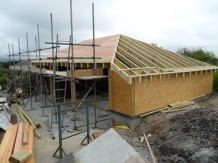 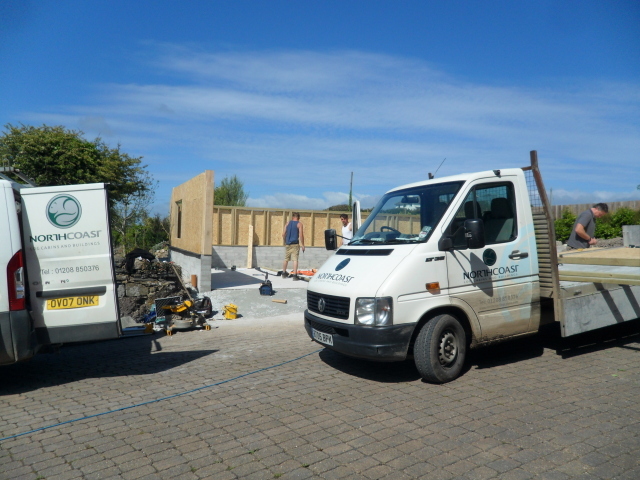 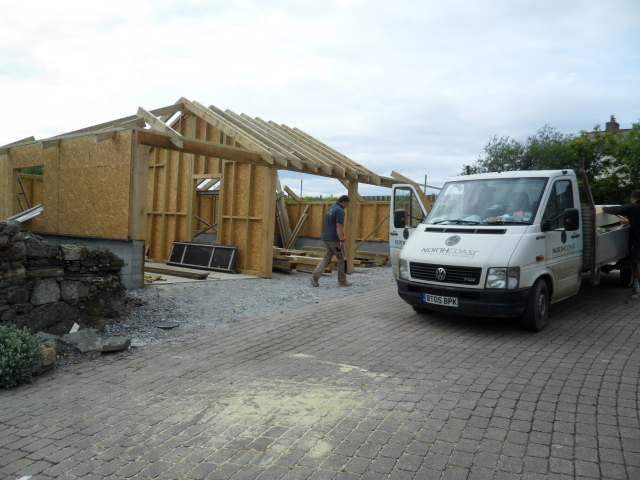 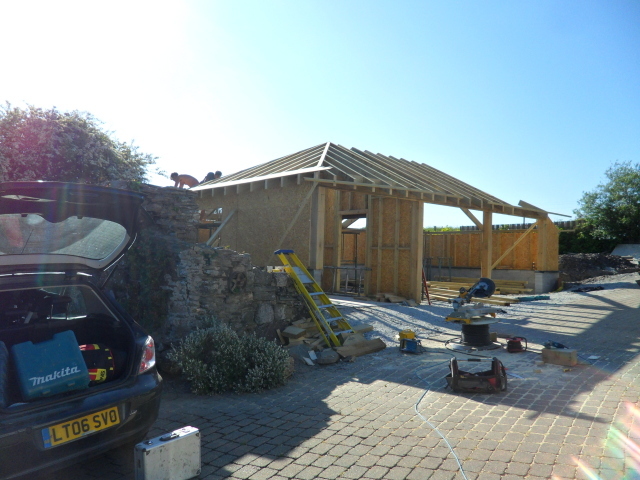 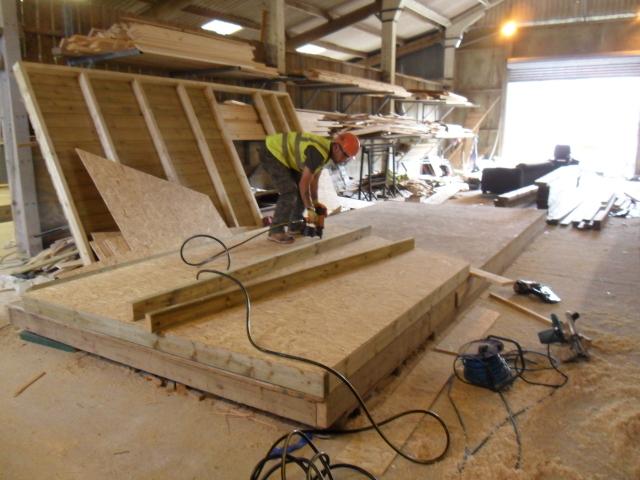 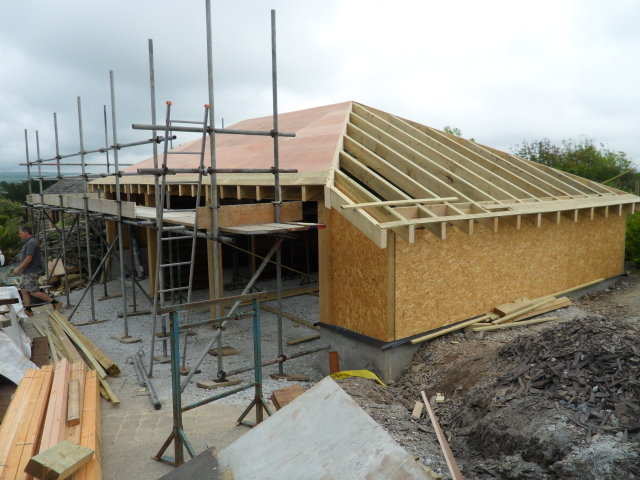 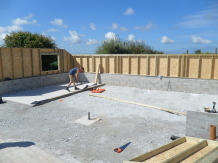 Here is a 3 bay garage we built near Wadebridge, Cornwall. The design was tailored to suit the site and works extremely well. 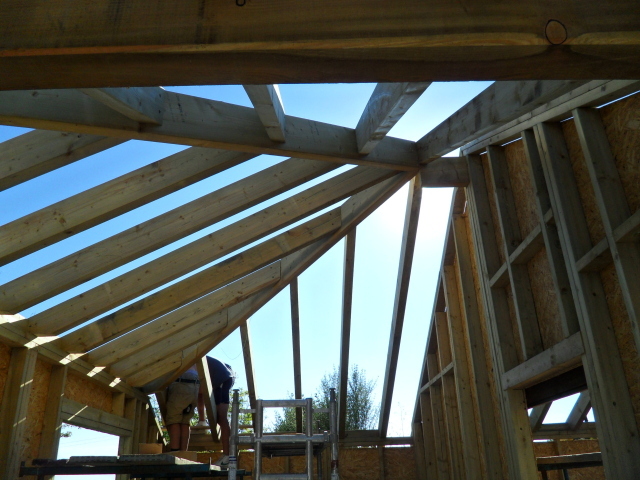 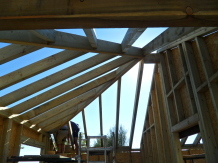 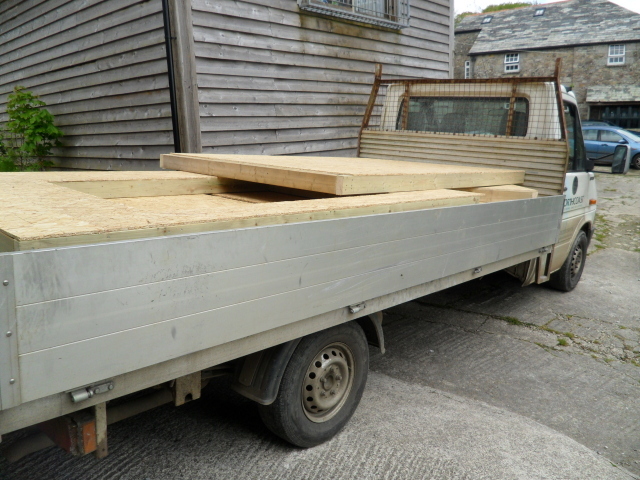 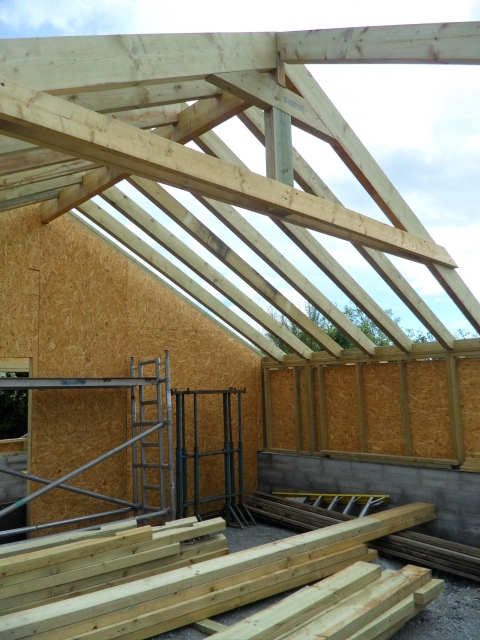 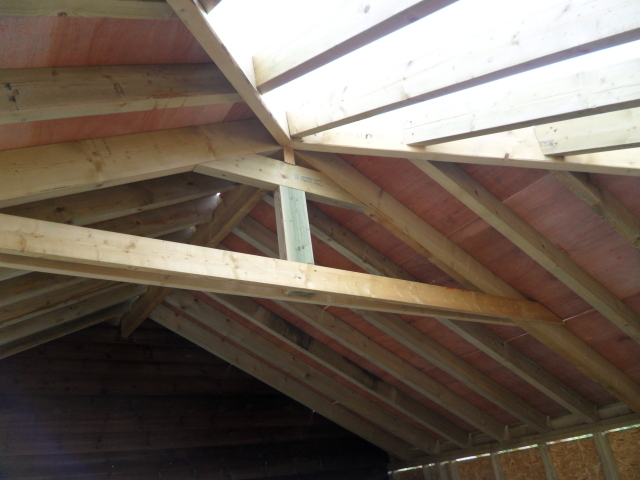 Construction wise the frame work consists of pressure treated 6″ x 2″ timbers. 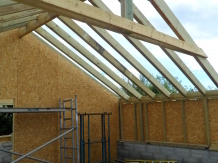 Clad externallty with brown treated feather edge boarding. There are Oak feature posts along front. 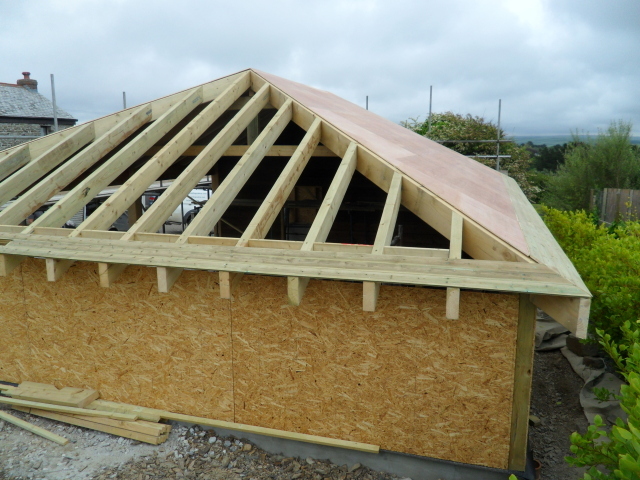 The roof is a double hip design with natural slate. 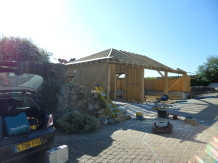 There is one enclosed bay with an electric up and over garage door.